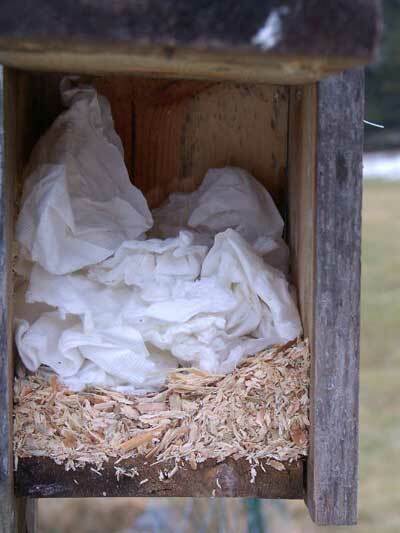 QUICK TIPS: See tips on deterring squirrels from using nestboxes. 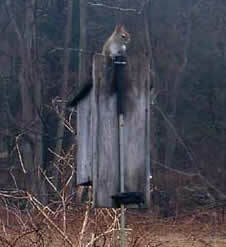 Red Squirrels will use a nestbox, especially if the hole is enlarged and it is mounted on a tree or fence. Here's one thing that can happen when you don't put up a squirrel/raccoon baffle, or a hole guard. Metal hole guards are available from various suppliers , or you can make your own. 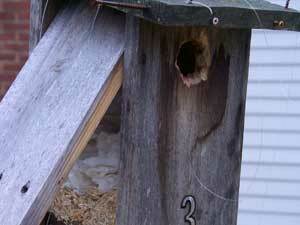 Note that one source says thick wooden hole guards may deter Tree Swallows. See more info about Red Squirrel Biology. A squirrel is just a rat with a better outfit.